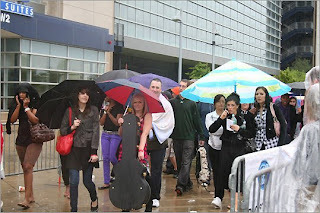 Over 8,000 folks endured the rain on Sunday for their chance to audition for the bajillionth season of American Idol. Good luck to all the folks that made the cut, hopefully we'll see you on TV this season. Click (here) to see more of the Globe's pics. 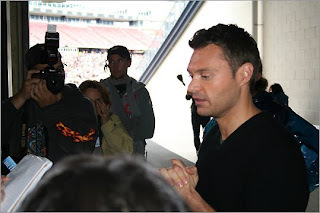 0 Response to "1000 Words - American Idol Tryouts"